The algorithm gets its name from the way smaller elements "bubble" to the top of the list. Because it only uses comparisons to operate on elements, it is a comparison sort. 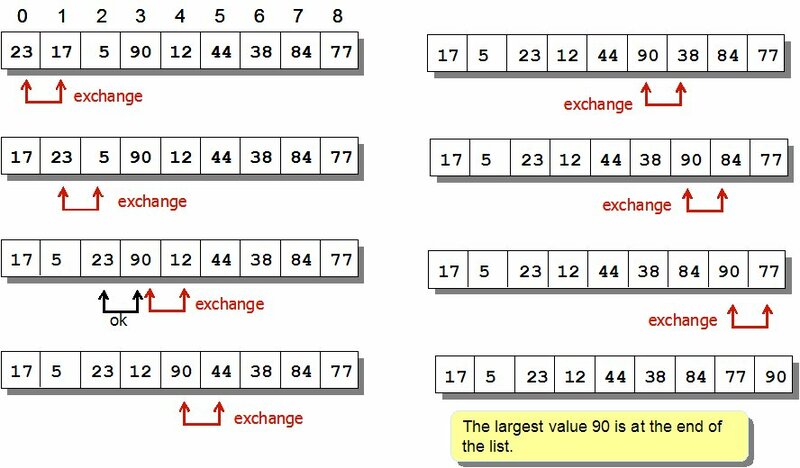 Although the algorithm is simple, most of the other sorting algorithms are more efficient for large lists.